Your free copy is ready. A hundred years ago, Super Sapient AIs made first ever contact with intelligent life from outside our solar system. Millions died. A century later, an expeditionary force arrives to liberate the first human world to fall. Among them is an outcast officer, a rebel smuggler, and a soldier in a secret pact. They are unprepared for what they find. The AI cabal that guides Humanity discovers evidence of Post-Singularity beings among the aliens. However, they are puzzled by their hostility. Can peaceful contact between the governing minds be achieved? Can they balance this against the existential danger of a genocidal opponent? On the conquered human world, they begin to learn the darker picture of the galaxy's history. 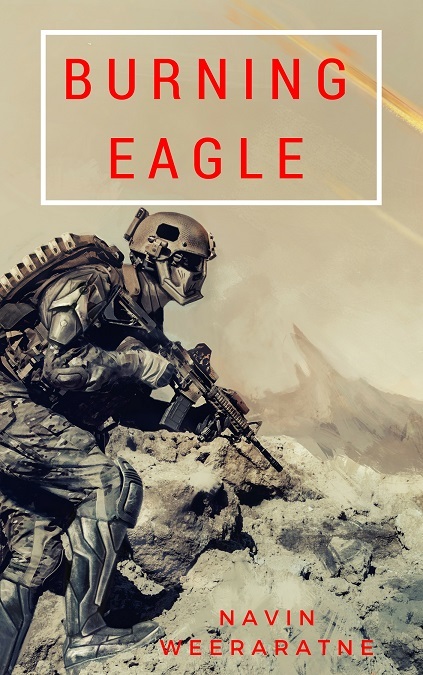 Burning Eagle is about a Transhumanist society that goes to war. Signup for my newsletter and get it free!